NaviTotal.com • View topic - Help me: to install the IGO(Primo) map on a roadnavigator RN100 please! Help me: to install the IGO(Primo) map on a roadnavigator RN100 please! I have downloaded this map: iGO R3 HERE (Navteq) 2015.Q2 Europe its about 5.6GB big. Now i have a modified Roadnavigator with TOMTOM and IGO(PRIMO) software on it. You activate the TOMTOM maps with a easyest activation. But you need to change the mapsettings.cfs to the correct map. Now i know when you want to use the IGO(PRIMO) you only must do this. it says no map found. And it goed not further anymore! Re: Help me: to install the IGO(Primo) map on a roadnavigator RN100 please! Obviously, you have to edit for your needs. ALWAYS BACK-UP YOUR FILES/FOLDERS BEFORE MAKING EDITING CHANGES! Please do NOT post any thanks. Simply press the hand icon with the "thumb up" which is the thank you button. where can i find that, the only file i see the lines you put there. You have folders in the map folder, move the files from those folders into the correct folders in the content folder, a guide is posted here how-to-f128/igo-primo-enhancements-t3538.html. 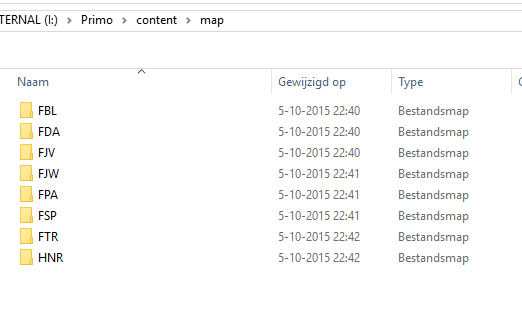 I have read the topic, but do i need to put the files or the complete maps with the files in it in the content maps? There are files like this..
Do they need just placed in the right map and than they work? Do i need to place them in the already map called License? 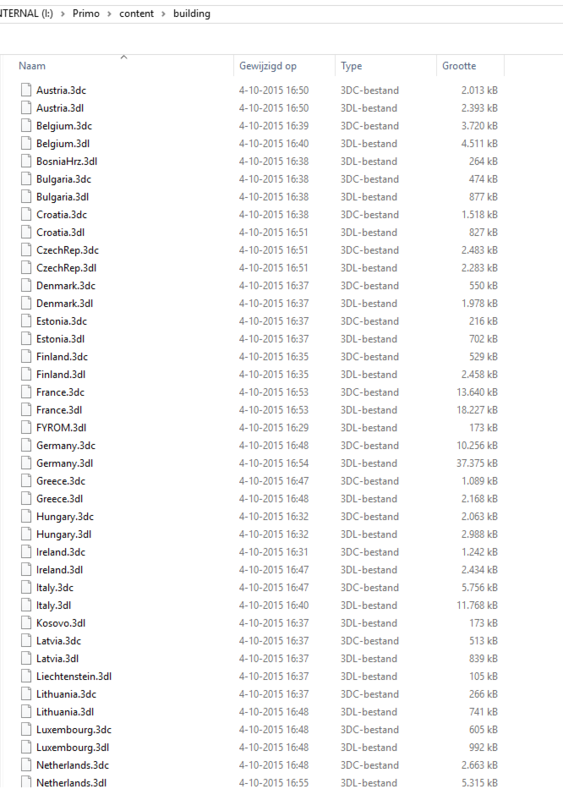 All the map related FILES go in the map folder, ie. Thanks for the information, i have read a article here on the board like this one. Uhm wich maps you preffer to use? I dont have hsp files in the map, so i need to put the fsp files in the histspeed to? So double??? I prefer TT maps. It depends however on what maps you like and where you are in Europe. My best experience lies with TT and HERE maps for me are not enough recent nor complete, dspite only HERE offers driver alerts. It's either fsp or hsp files! Not both at the same time ! 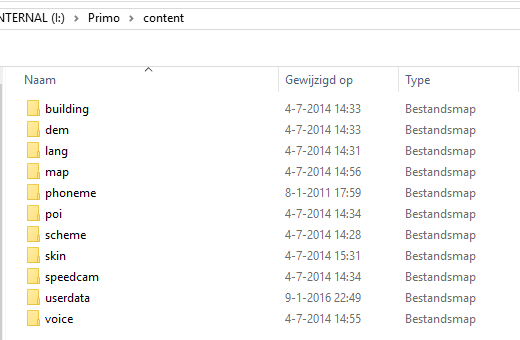 Also note that fsp go in the map folder, hsp in the histspeed folder. They have the same function. less coverage in TomTom than the already installed map or? You are counting the total download of all files as a determining factor. The differences are not in the maps only, but in the other files as well. Not to mention the question which download is more complete and covers more countries fully. The 51 HERE 2015Q3 maps on my PC for example cover Russia Disputed (Crimea) and Ukraine Disputed. TomTom 2015.06 (49 maps) doesn't (not publiished/uploaded or TT has no seperate maps?). If you go to Crimea it may be important that you have full map coverage. Or does TT offer the same coverage? I can't tell from behind my computer. At first glimpse HERE is better in Finland, worse in Albania. However sometimes some map (HERE or TomTom) can be better (more detail) in cities and the other in the country. Or in a certain part of the country. TomTom has no driver alerts at all, Total space HERE driver alerts 2015Q3 on my PC is 13,11 MB that are missing in TT, thys in in download size. I get where I want, when I want. What I don't use, don't need. To your last question, TomTom GPS or iGO/Primo, I prefer the latter. Only possible choice on a WinCE6 device as well. When you prefer TomTom GPS you use the same maps (and files) in origin as the IGO TT maps, but they are not interchangeable due to different compression. Edit, by this line I mean the maps are made from the same base data by the same mapmaker (TomTom). TomTom then sells the maps to the GPS firms who make their own map files by compression. IGO primo install on mem card? How to install igo primo on NAVIGON AG AVG 7100?